One of the takeaways from last Saturday’s Native Plant Symposium was that every garden is different. Each landscape takes on the unique vision of the owner. It is cared for with love or neglect and shaped into an oasis that reflects the passions of each gardener. Through plants, art, paths, benches and even ponds, they were, with a bit of effort, able to create their own little bit of heaven. How much area needs to be landscaped? Is it sunny or shady? What soil do you have and is it wet or dry? What are the boundaries made of (fence, trees, a house, a deck, or a stone wall)? What type of views do you have and do you like what you see? What type of a garden are you trying to create? Is it a wildlife sanctuary? Do you want a secluded place to sit and read a book? Is it a space to grow herbs and vegetables along with some beautiful plants? Will you be looking at your garden from within or outside the garden? The borders of the garden are prominent features that can be enhanced with plants that grow vertically. Whether you have a fence or railing along the edge, plants help define the boundaries. These taller vertical layers will give your garden depth. They develop the illusion that your garden is larger. They also provide privacy and screen out bad views. Not every yard is large enough to create multiple outdoor rooms. If you have the space, however, paths leading to another more intimate area can really be fun. Vary your path, landscaping material and plants in each room so each garden area is unique. Only show a portion of the room to generate intrigue. Interesting lines of plants or edging leading you through the garden can direct you to that hidden sanctuary. I think layering is the most important part of a landscape design. 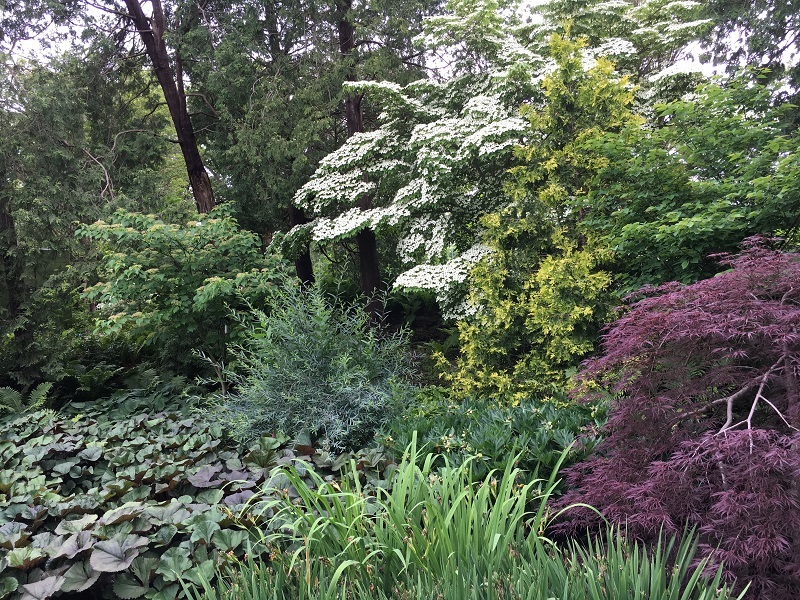 Layers of plants blend the garden together. This will make the landscape feel cohesive and lush. Mix and match sizes and shapes of plants to create a tiered effect. Hopscotching down from largest in the back to shortest along the path edges with different textures, shapes, and repetition of forms that are in scale with your area will make the garden look full and larger than it really is. If you can pull this effect off, your small garden will be one of life’s simple pleasures. I know this is not in Kansas but the principle is the same. Layering plants make an impact. Evergreen trees and shrubs provide structure and interest all year round. Perennials, shrubs and trees add seasonal interest from flowers, foliage, bark and berries. By varying plant types with different foliage such as grasses you add texture and movement in the garden. Scented plants near benches or close to the house waft fragrance through the garden with the gentlest breeze. 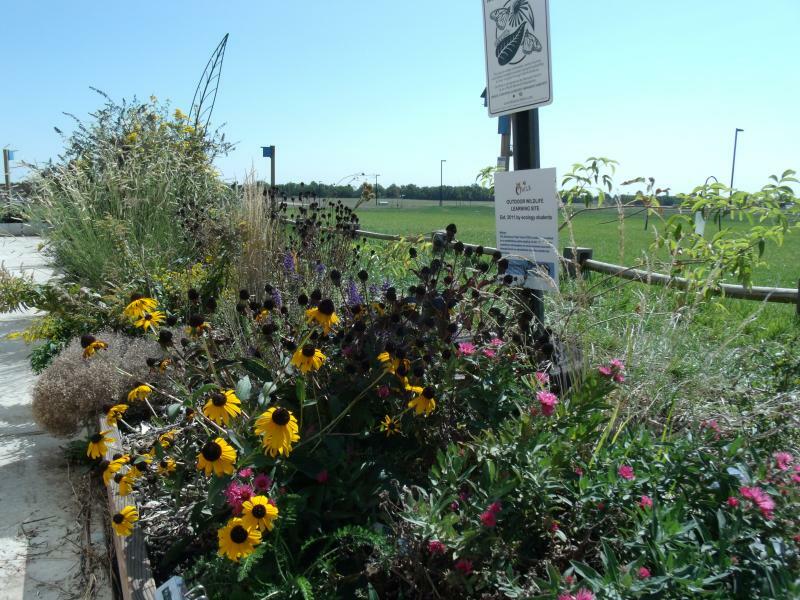 Flowers that attract butterflies, bees and other pollinators can make a big difference. 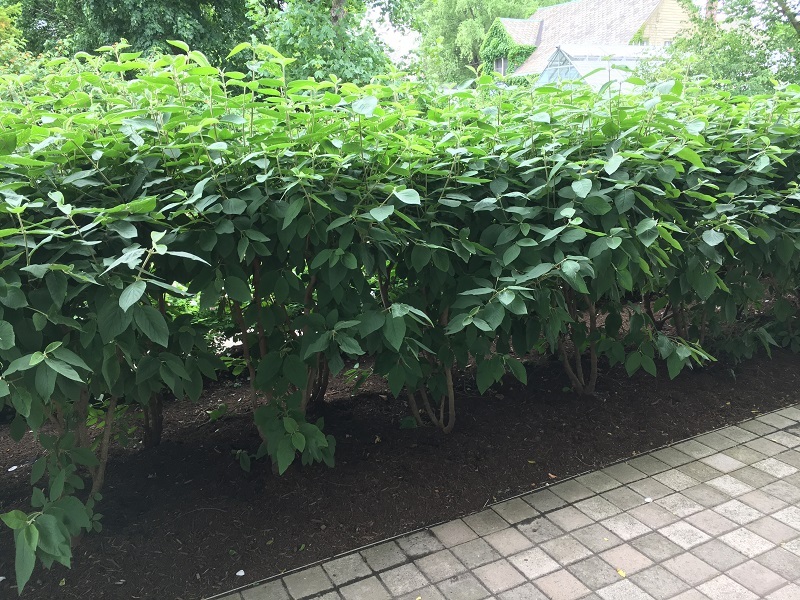 Trees and large shrubs such as Viburnums add height, privacy, interest from bark, foliage, fruit or flowers, as well as habitat for birds and insects. Have a place where you can enjoy your creation. What good is a garden that cannot be enjoyed? Include a bench, comfy chair, fire pit, stone wall or hammock to relax in your garden. Consider whether to build some seating into the plan using seat-height walls to contain flower beds with scented plants. There is something special about a small garden done right. Landscapes take on the personality of the gardener, through special touches that make your garden special to you. Many people consider these small spaces difficult because they don’t have much to work with, but the key to success with intimate spaces is defining its purpose. That is the starting point. Inspiration is as wild and crazy as you want to be. Have fun with it and embrace the space. This post is the second installment of the Imposter Plants series. In the first post I discussed the differences between native and adaptable, while also trying to clear up the confusing descriptor ‘naturalized’. Here I will dig into the details on what it means to be invasive, noxious, weedy, alien or exotic. On February 3rd 1999, President Bill Clinton signed an executive order that was meant to protect the US from imminent invasion – plant invasion! Non-native plants that become out of control can affect agriculture, ecology, endangered species and human health, and the President was right to be concerned. There are many definitions for what an invasive plant is, and some are contradictory. Here is my simplified aggregation of the most prevalent ones on the web: a plant is invasive if it is non-native to the region and spreads aggressively enough to displace native plant populations. 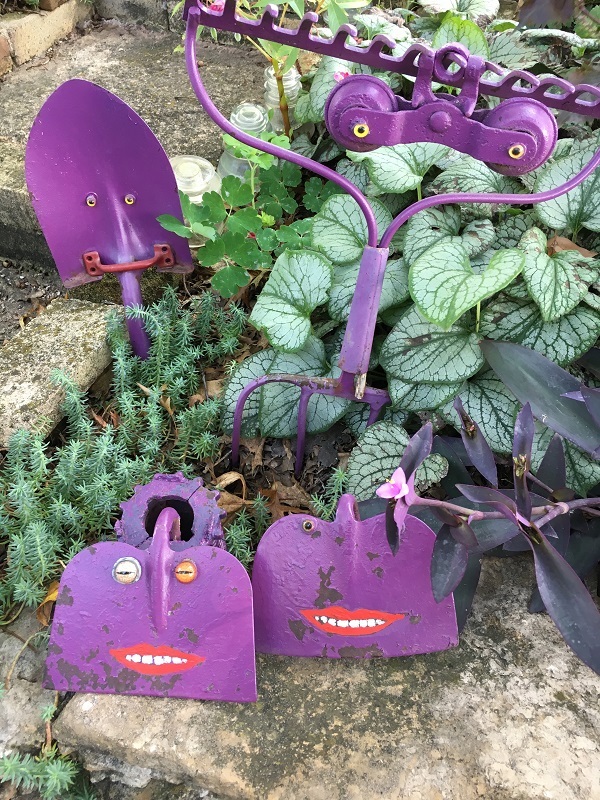 These plants are not only bullies in the home landscape, they can easily escape into the wild and begin reproducing. 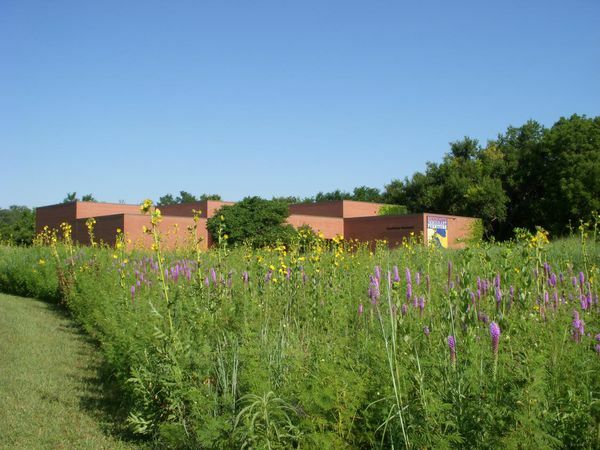 Harkening back to the previous post, non-native plants that reproduce on their own in the wild are ‘naturalized’, but the important distinction is that naturalized plants do not degrade habitat and cannot outcompete natives for nutrients, water or sunlight. 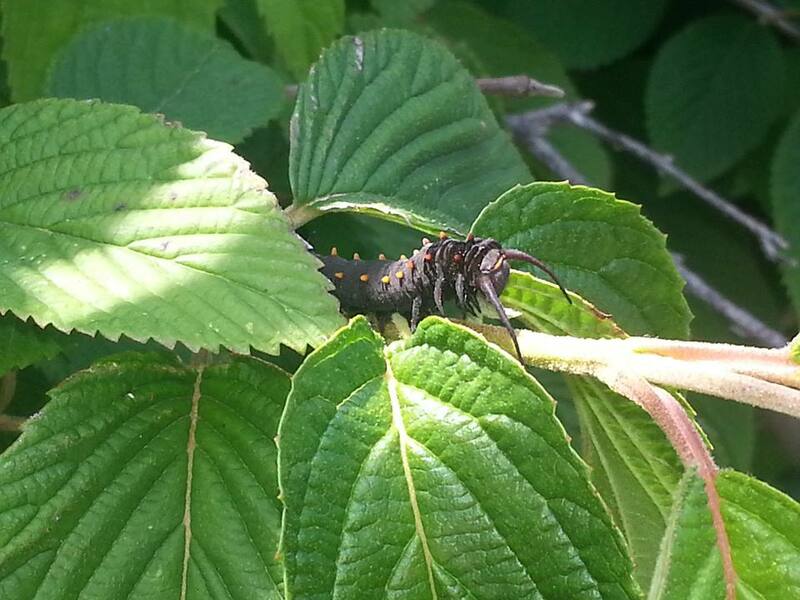 Invasive plants certainly do, often causing damage to the local flora and fauna. Field bindweed (Convolvulus arvensis) is an invasive plant as well as a noxious weed. Brought here from Eurasia, it quickly adapted to the North American climate and is pervasive enough to choke out native plants and hinder agriculture. 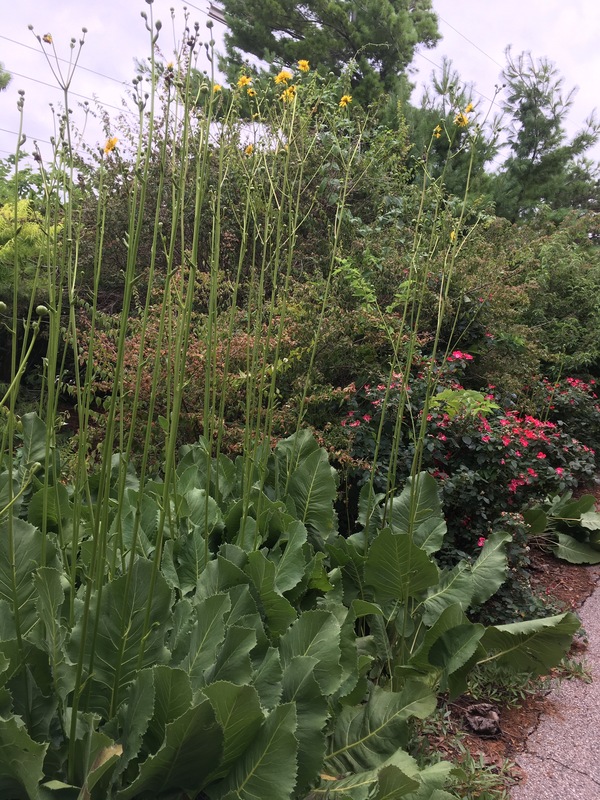 Prairie Dock (Silphium terebinthinaceum) is a beautiful native species, but spreads aggressively and can take over your garden. Even so, this is not technically an invasive plant. I truly despise the term ‘weedy’. Not only is it vague, it is completely subjective. One person’s weedy plant is another’s favorite flower! The true definition of a weed is merely ‘a plant out of place’; a weed can be any plant, native or non-native, that does not belong in its current place. We use this word to describe the behavior of the plant more than the plant itself. Does it pop up everywhere? Does it come back even after you pull it? Well, a gardener might call this plant a weed, even if they once planted it there themselves. But since it only describes the action of the plant and not the legal status or origins, this word doesn’t hold much weight with me. 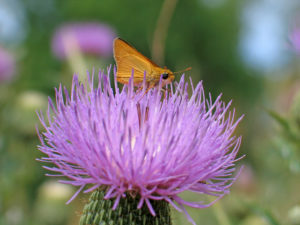 Brad Guhr captured this delaware skipper (Anatrytone logan) enjoying the bloom of a native thistle, Cirsium altissimum. People often confuse these with non-native thistles classified as noxious weeds. 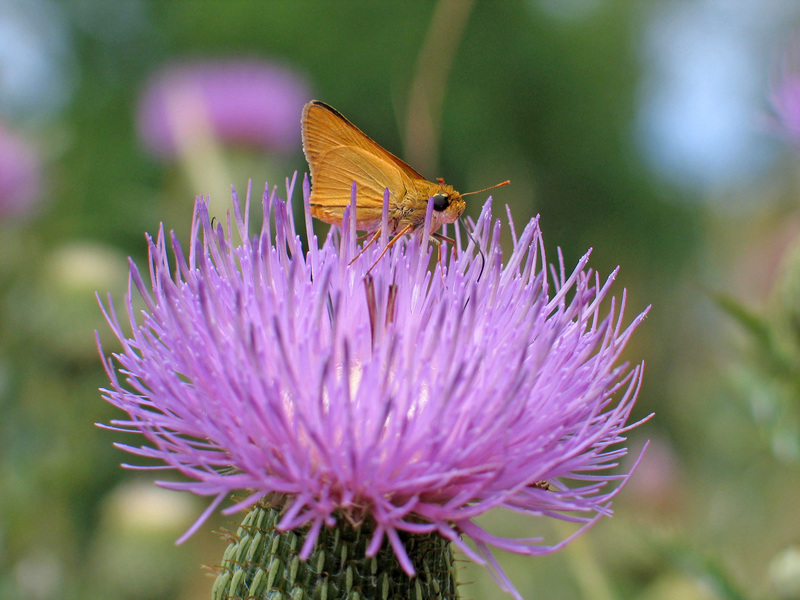 Our native tall thistle is important to pollinators. 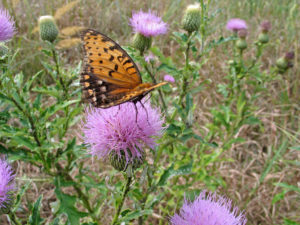 Regal fritillary on native tall thistle. You can identify native thistles from the noxious by their leaves – Cirsium altissimum leaves are green above white and woolly underneath. 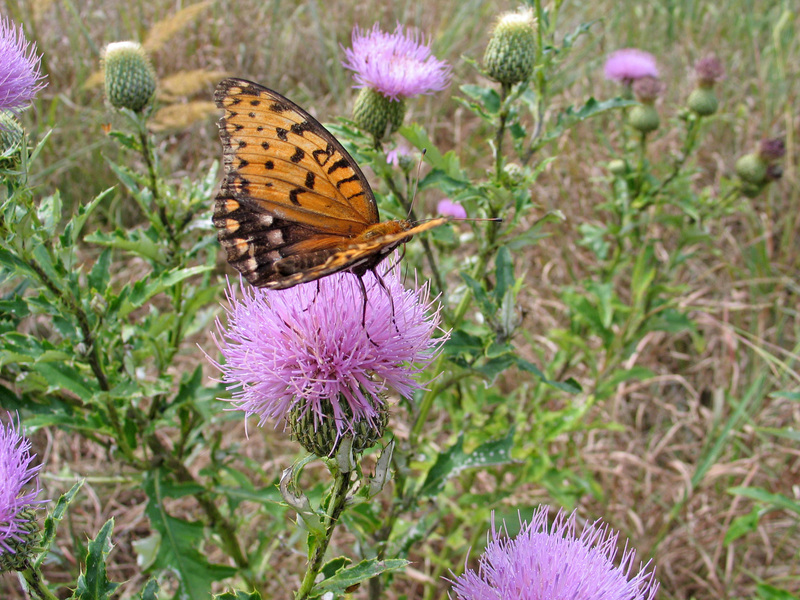 To learn all the details on native and non-native thistles from Brad Guhr, click here. A noxious weed is a different story. Noxious is a legal term and its definition is closely tied to agriculture. Per the 1974 Federal Noxious Weed Act, “a plant that directly or indirectly injures crops, other useful plants, livestock, poultry or other interests of agriculture, or the fish or wildlife resources of the United States” is considered noxious. Confusingly, native plants can be noxious weeds. 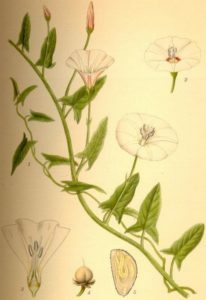 A noxious weed grows aggressively, multiplies quickly without natural controls (such as herbivory) and threatens agriculture. 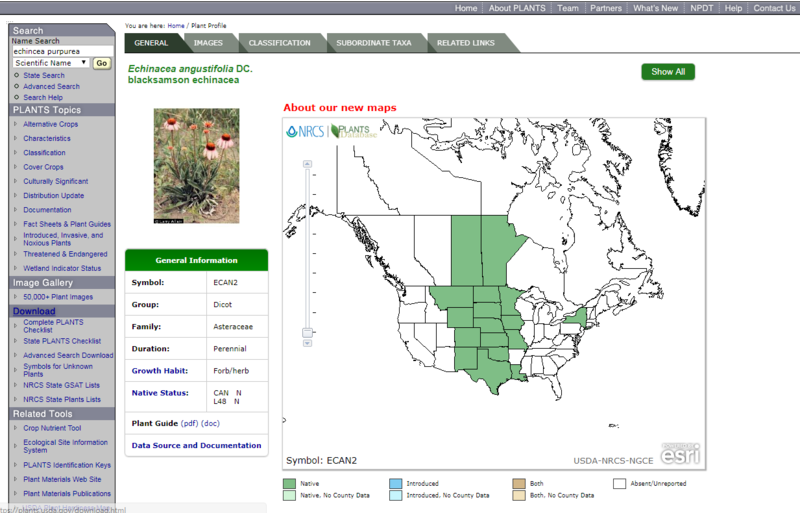 The USDA regulates these plants and monitors their populations. Lastly, let’s tackle a few terms that arise occasionally to confuse and befuddle. Though we call some plants ‘alien’, this doesn’t mean they have invaded from Mars. We can use this term interchangeably with ‘non-native’; both mean that a given plant is not naturally found in the area. You may also hear a plant called ‘exotic’. What comes to mind might be tropical, rare, or expensive specimens, but in fact this is just another name for a non-native plant. An exotic plant has origins in another place, perhaps on another continent. Exotic and alien are often bundled together with other terminology – exotic introduced (a non-native plant brought to a new place), an alien invasive (a non-native plant that harms local ecosystems), an exotic naturalizer (a non-native that reproduces in the wild but doesn’t cause major problems) … and so on! 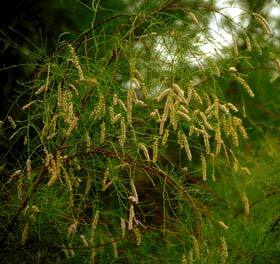 Tamarix is an exotic species native to Eurasia and Africa, but is now spreading aggressively over many parts of the US. So prevalent in some areas, it can lower the water table and deposit large amounts of salt in the soil. 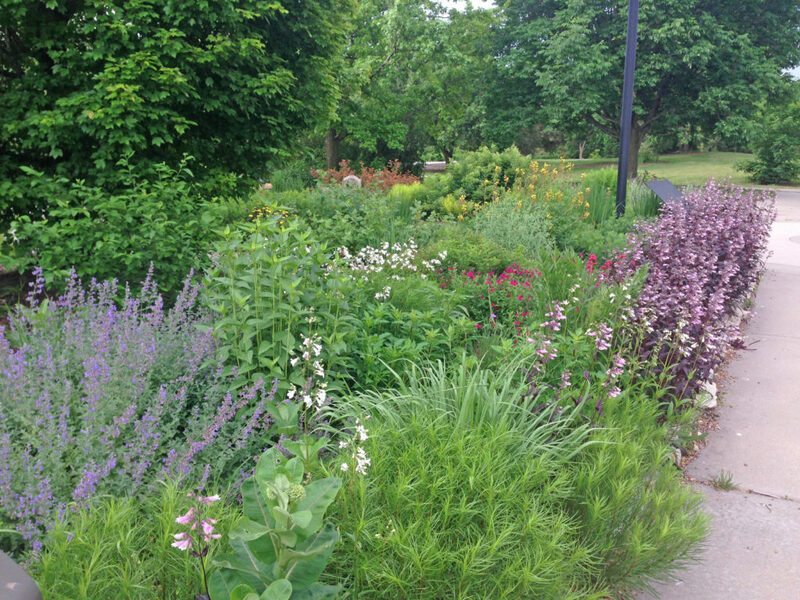 Whether a plant is invasive or naturalizing, native or weedy, can often change based on who you are talking to. Some of these terms overlap in definition, leaving much to argue about. There is even scientific interest in finding a new way to classify these plants to help dispel the confusion. By educating yourself on correct classifications, you can help friends and neighbors understand why they shouldn’t plant invasives that ruin our wilderness. 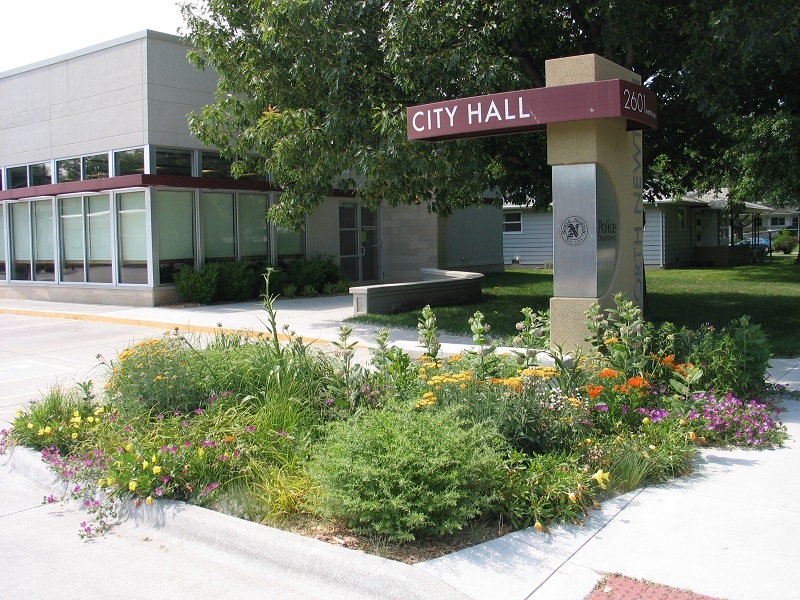 You can also help at our FloraKansas Plant Festival, teaching others that native plants are not just pretty ‘weeds’. 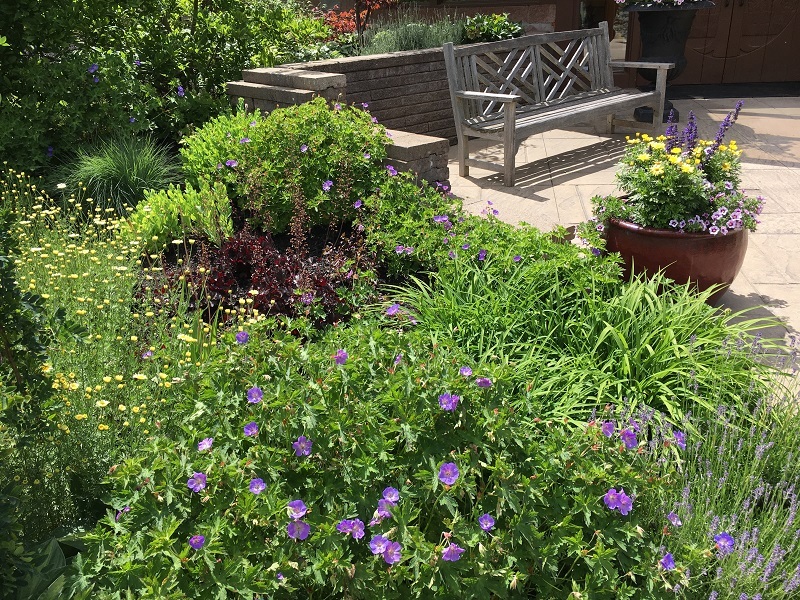 Our plant sale features many midwest natives as well as ‘adaptable’ plants that are not native but make nice additions to the garden. The average gardener may feel bamboozled by the idea that there are ‘natives’ and ‘non-natives’, ‘naturalizers’ and ‘introduced exotics’. The public is not well informed of these terms, and many plants have become imposters – invasives masquerading as innocuous beauties and beneficial natives demoted to noxious weeds. Clear classifications reveal the history and behavior of a given plant, but only if we understand the terminology! I have compiled definitions of these terms to help everyday gardeners decode the complex plant lingo. Since there are so many terms to cover, I will split this topic into two posts! 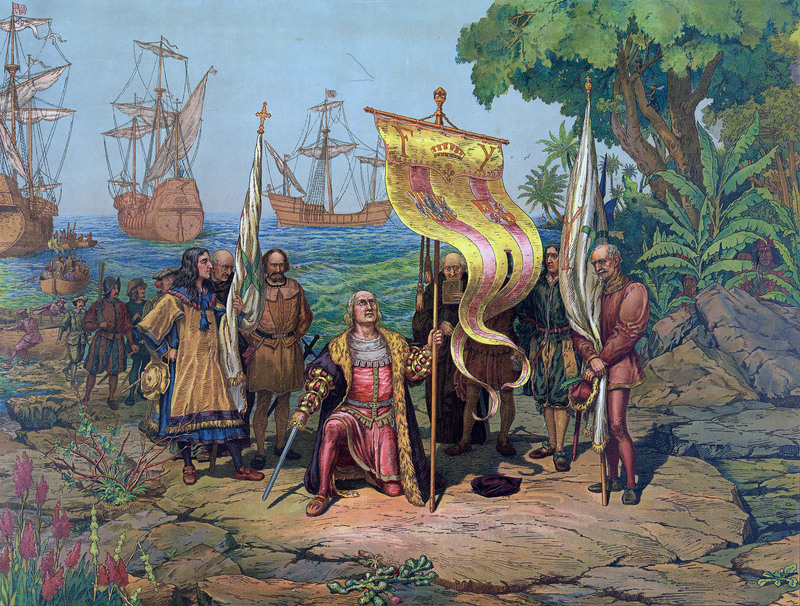 This post will cover natives, adaptables, nativars and naturalizers. Stay tuned for the next installment, which will define invasive, weedy, noxious, and exotic. We must use the word ‘native’ in reference to a specific place or geographical region – Native to the Mediterranean, Native to Peru, or Native to the Great Plains. Otherwise, we could label all plants native to planet earth! 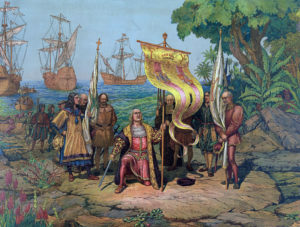 In general, scientists consider a plant native to North America if it existed here before European settlement and occurred naturally here during its evolution. In other words, if it required human help to get here, it is not a native species. 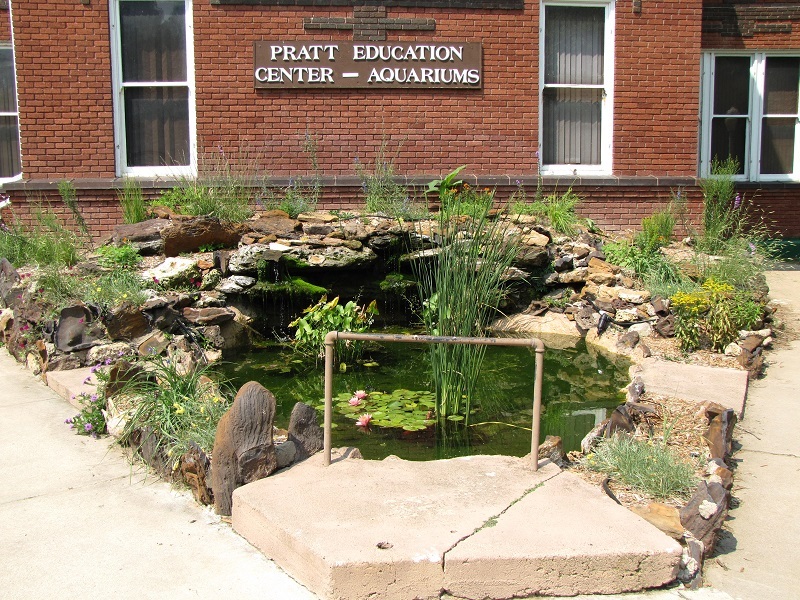 At our plant sale, we stock plants that are native to the Great Plains and Ozark region. 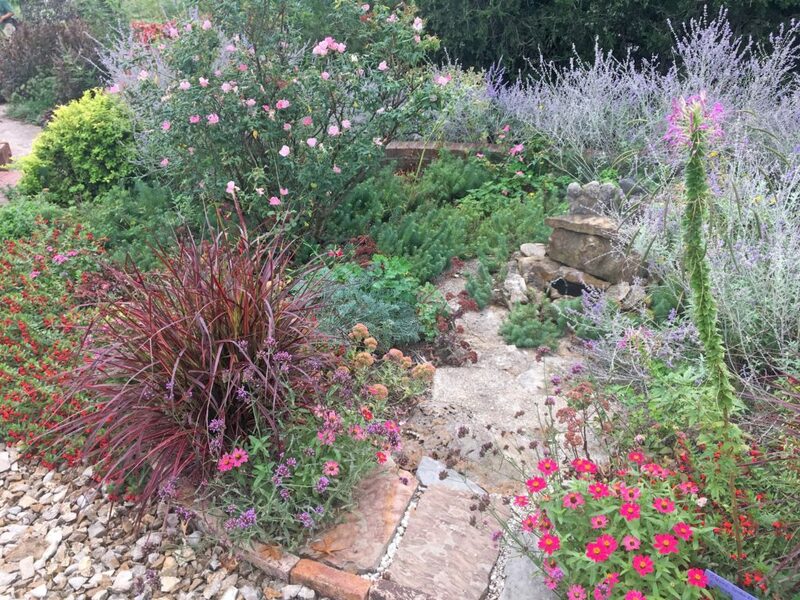 We sell plants native to Kansas and surrounding states, in order to 1) provide customers with plants that survive and thrive because they are well suited to this climate and 2) get as many plants as possible into home landscapes to support the pollinators and wildlife specific to our area. 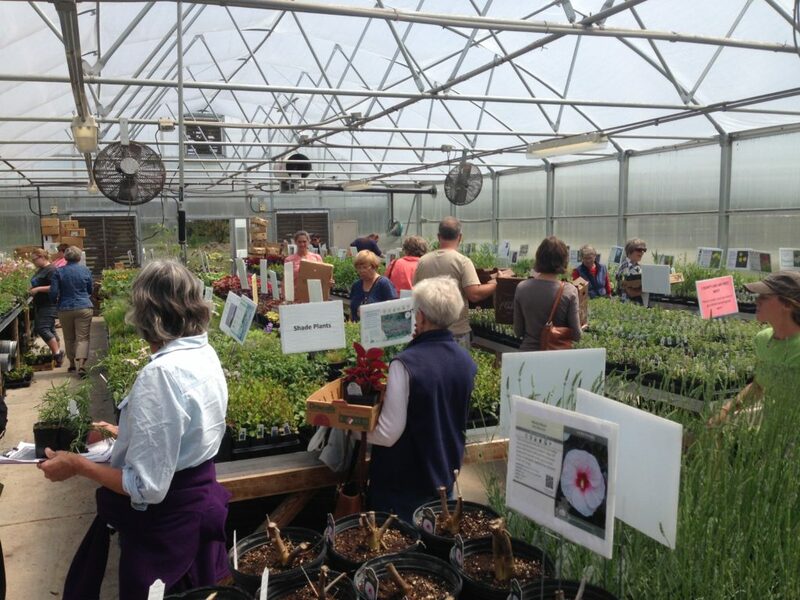 At our plant sale, we also offer non-native plants that still perform well in our climate. We call them ‘adaptables’. Albeit a little vague, this means the non-native plant can survive in our climate and is an asset to the garden. Adaptables are often hybrid varieties of native plants. 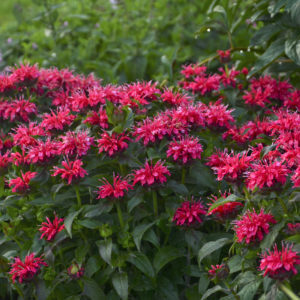 For example, Monarda fistulosa (bee balm) is a Kansas native, but Monarda ‘Cherry Pops’ is a hybrid of the New England species M. didyma. At the sale, we label such hybrids ‘adaptable’. They are relatives of our native species and perform well in the garden, but are not naturally found in Kansas. This particular adaptable can also be deemed a ‘nativar’ – a fancy term for a native plant that has been specially bred for certain traits. 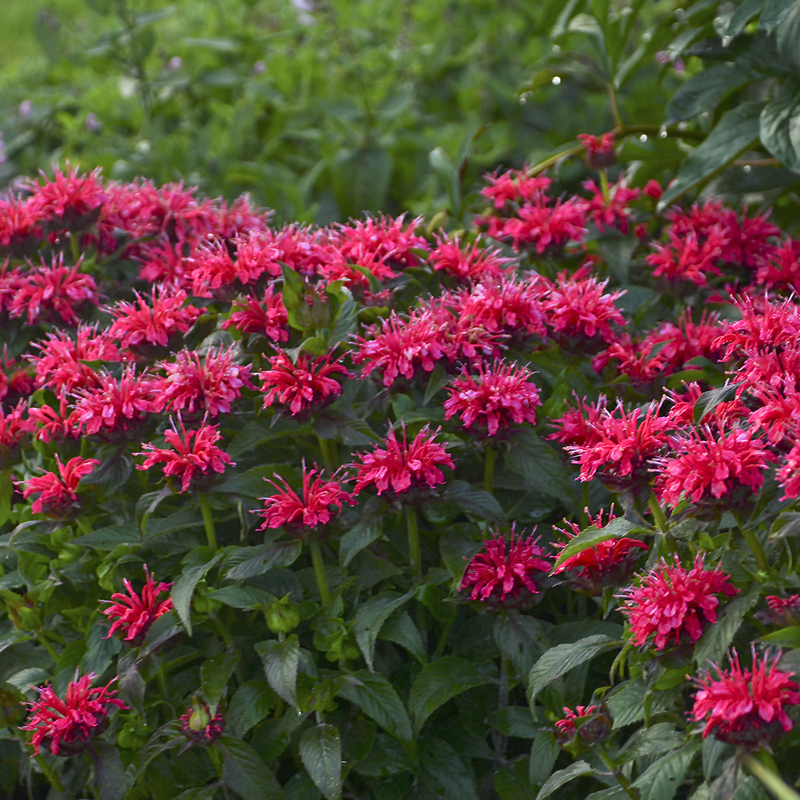 Monarda didyma is a New England native, but the variety ‘Cherry Pops’ is man-made from native parentage. Though not naturally occurring, botanists started with the native variety and selectively bred for vibrant color and prolific blooms. Nativars are beautiful additions to the garden and add exciting colors, but their lack of natural genetic diversity and sterility call into question their usefulness as habitat for wildlife. 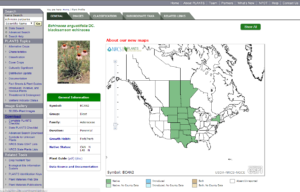 The USDA Plants database is an excellent resource – search with botanical or common names to find out their native range and legal status. It was introduced – brought here by humans, intentionally or unintentionally. It is well suited to the environment and can successfully reproduce on its own in the wild. Though it can escape into the wild, it does not upset natural populations. A good example of this is the common dandelion. Though we think of this as a weed, (more about this tricky word in the next post!) it was intentionally brought over by Europeans as a medicinal plant. It did not require cultivation – reproducing quite successfully in the new world, dandelions are now just part of the landscape. Though it may be invading your lawn, it isn’t truly invasive because it’s not upsetting established populations of native plants. Though not native, it can still be useful! Dandelions are a food source for bees when other flowers are scarce and the leaves are relished by rabbits. 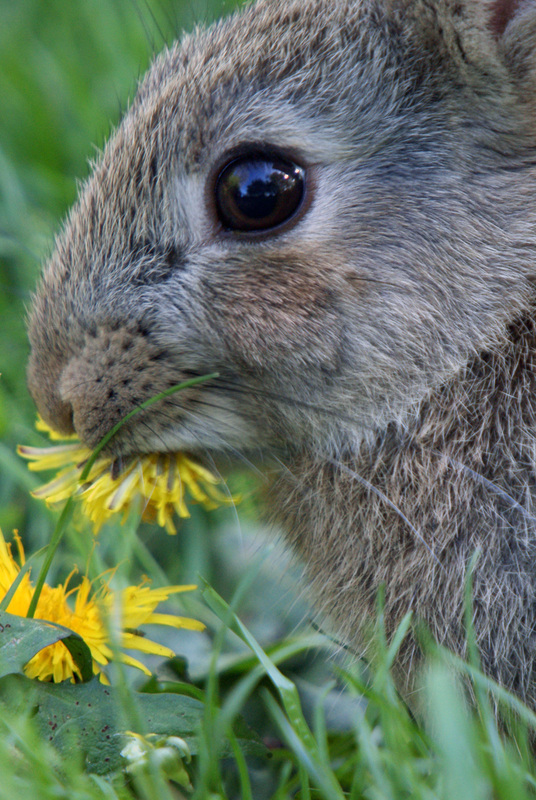 Rabbits love to forage on dandelions. 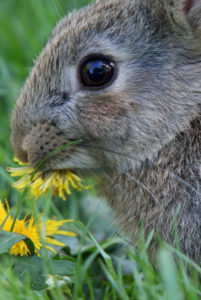 Both of these species, rabbit (Oryctolagus cuniculus) and dandelion (Taraxacum) have been spread around the world by human error. Cold winter days are a good time to brush up on your botanical terminology and prepare for the planting season. In the coming weeks, part II of this post will discuss our less pleasant plant friends, the invasive, weedy, noxious and exotic. 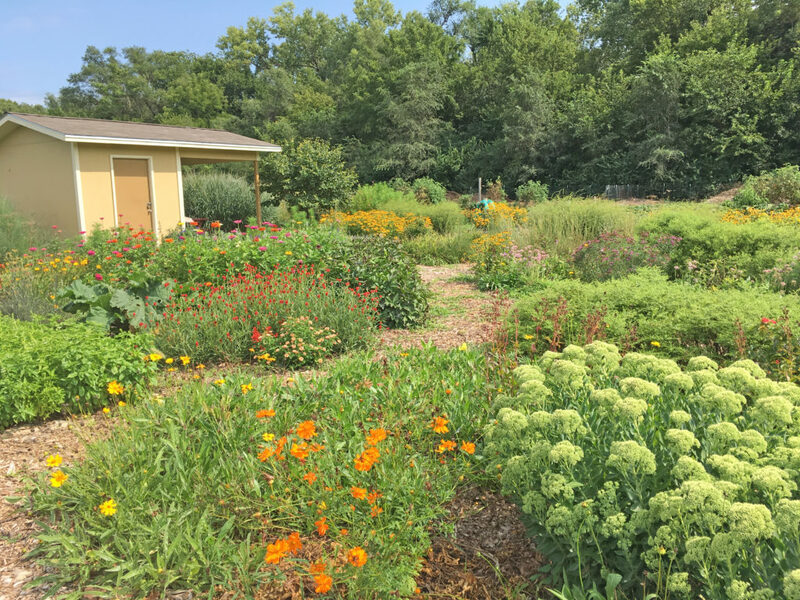 In the meantime, browse our Native Plant Guide for 2018 for native and adaptable plants available at the FloraKansas Native Plant Festival.